Mix the softened ice cream and amaretto liqueur in a small bowl until combined. Place in the freezer until the ice cream has firmed up again and is "scoopable". 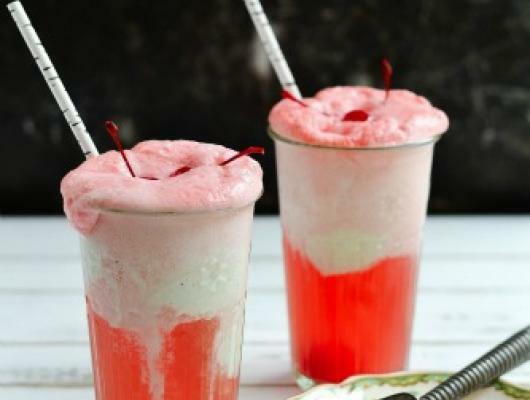 Combine the soda, cherry juice and vodka, divide evenly between 2 glasses. Top with scoops of the amaretto-spiked ice cream. 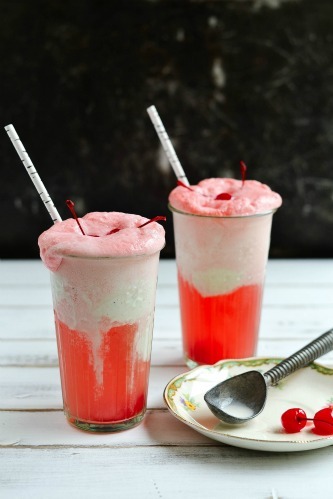 A childhood favorite makes a comeback with this adult Shirley Temple float, spiked with vodka and amaretto ice cream.